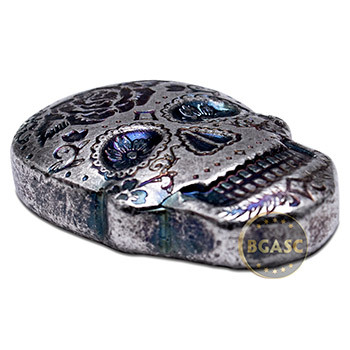 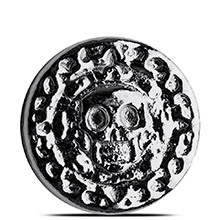 The Hand Poured 2 oz Silver Day of the Dead Sugar Skull - Rose Design is a 3-dimensional silver art bar made of 2 troy ounces of .999 fine silver. These silver skulls were inspired by the sugar skulls used in the celebration of the Mexican holiday Day of the Dead (Dia de los Muertos). 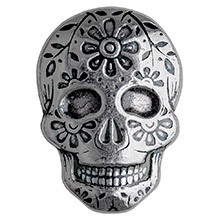 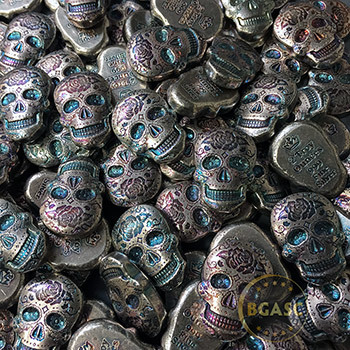 Each silver sugar skull is crafted from 2 troy ounces of pure .999 fine silver and given a dark polish to make the details of each skull stand out. 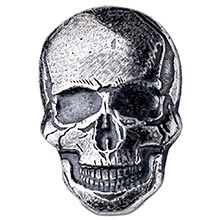 Some skulls will have rainbow toning effect, while others will have more of a black and gray coloring. 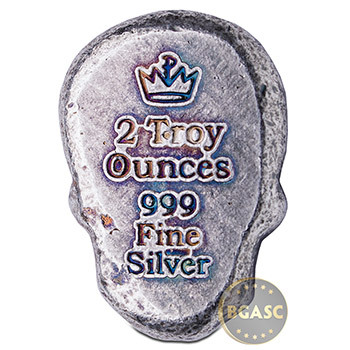 The back of each piece is hand stamped with the Monarch crown logo and the words "2 Troy Ounces, 999 Fine Silver". 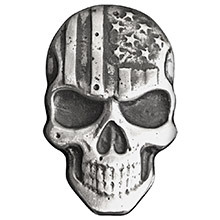 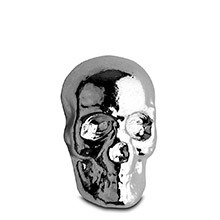 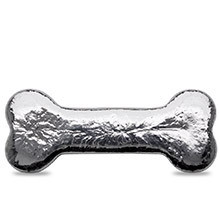 Hand-poured 3D silver art bars like this Silver Skull shaped bullion bar are a fun and unique way to own physical precious metals. 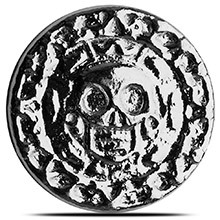 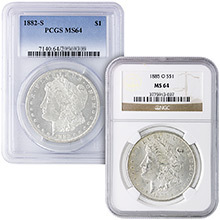 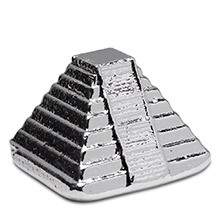 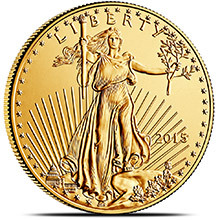 They also make a great gift for any silver investor, pirate enthusiasts, and more. 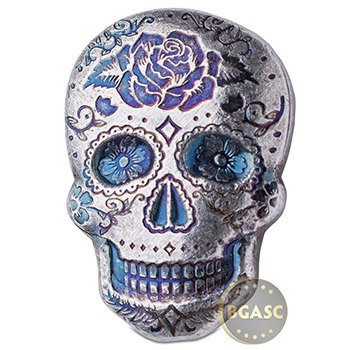 Add a Small Wooden Treasure Chest to your order for a fun way to store and display your 2 oz Silver Sugar Skull! Small Velveteen Drawstring Pouches are also available to keep your silver shiny and protected.